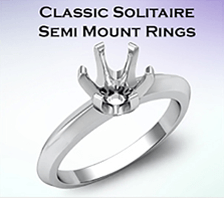 Prong setting is the most popular setting for side and center diamonds in jewelry for a variety of reasons. 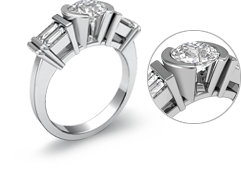 Because it consists of four or six claws that cradle the diamond, it allows the maximum amount of light to enter a stone from all angles. 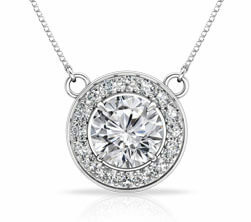 This makes the diamond appear larger and more brilliant. 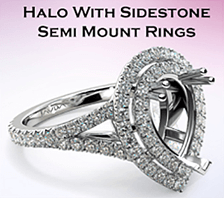 And it can hold large diamonds more securely. 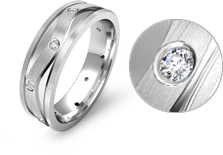 With a Bezel setting, a rim holds the stone and surrounds the gem. 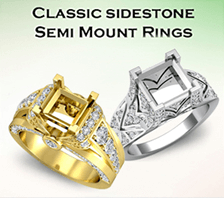 Bezels can have straight edges, scalloped edges, or can be molded into any shape to accommodate the stone. 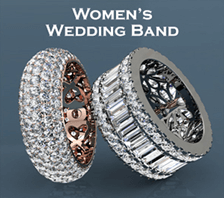 The backs can be opened or closed and they are used to set earrings, necklaces, bracelets, and rings. 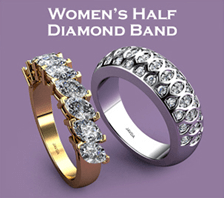 Warmer-colored diamonds look stunning when bezel set in yellow gold. 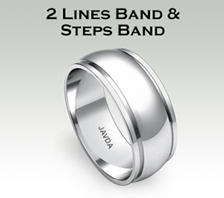 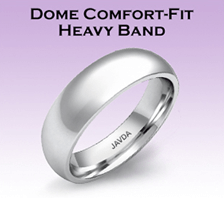 This setting is most frequently used for wedding and anniversary bands. 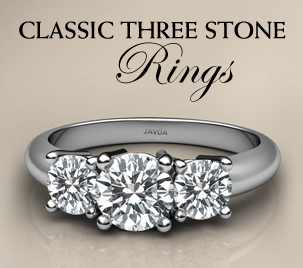 A Channel setting will set the stones right next to each other with no metal separating them. 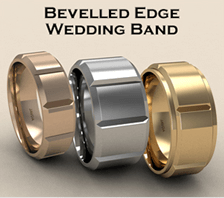 The outer ridge of metals is then worked over the edges of the stones. 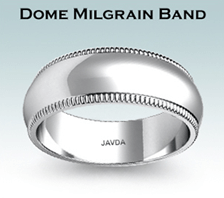 This protects the girdle area of the diamonds better than a bead or prong setting and provides a smooth exterior surface. 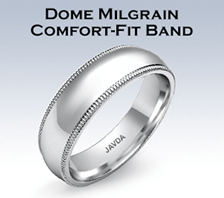 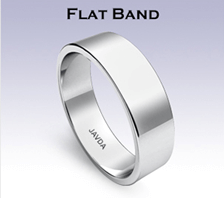 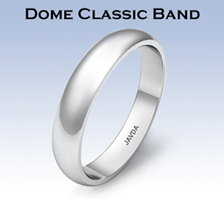 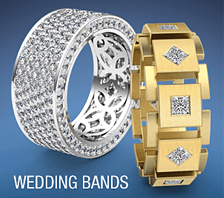 Similar to the Channel setting, this type of setting is also most commonly used in anniversary and wedding bands, but can also be seen in bracelets and necklaces. 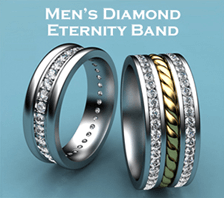 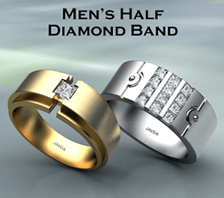 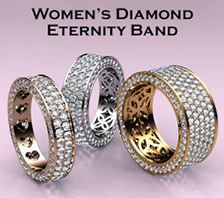 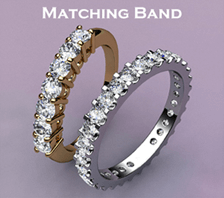 It is a band of diamonds that holds each stone in by a long thin bar, shared between two stones. 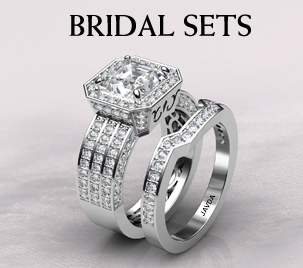 The Bar setting combines a contemporary and classic look. 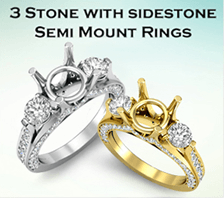 Stones are set closely together, separated by little beads of metal. 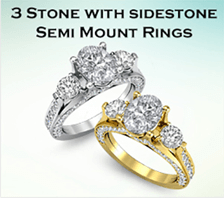 Pave set accent stones can enhance a modest center stone. 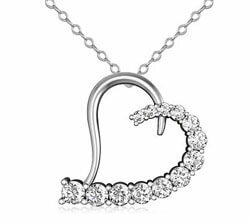 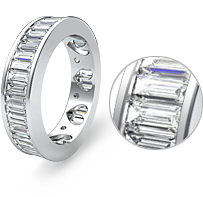 Traditionally, pave refers to a field or expanded area of beaded metal and stones. 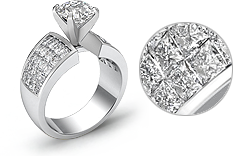 The pave setting allows light to reflect off the many facets of a diamond because it uses numerous small diamonds set with tiny prongs that create a continuous surface of radiance and shimmer. 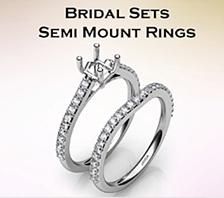 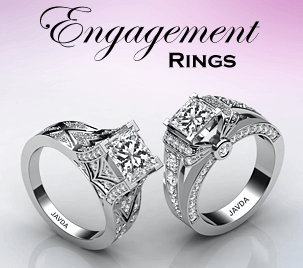 This setting type is preferred for engagement rings and earrings. 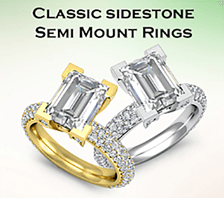 A tension setting refers to a diamond ring setting where the diamond is held in place by pressure rather than with prongs, under a channel, or a bezel setting. 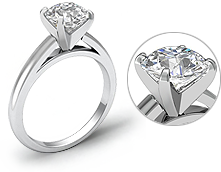 The gold or platinum setting is actually spring-loaded to exert pressure onto the diamond, and tiny etchings/grooves are added to the gold or platinum in order to create a shelf structure for the diamond's edges to rest. 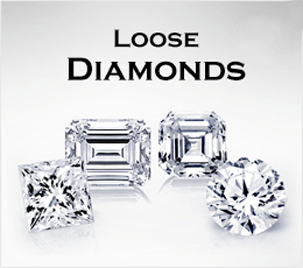 The diamond appears to 'float' or be suspended in the air with nothing holding it in place. 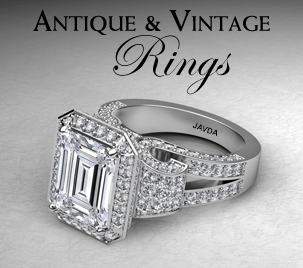 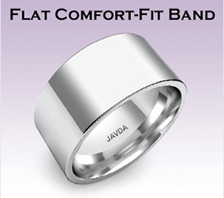 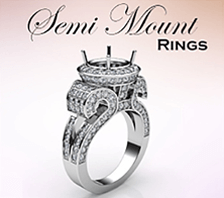 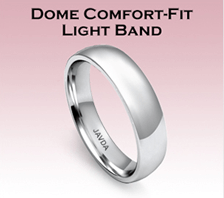 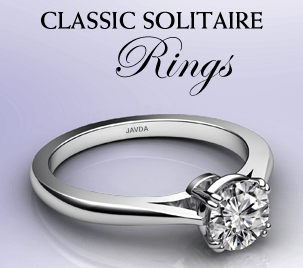 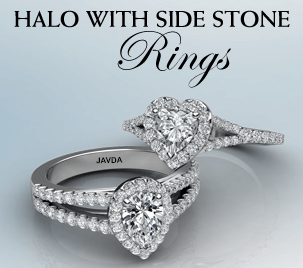 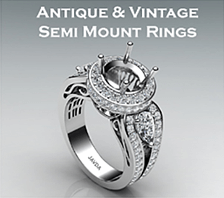 It is a secure setting type for a diamond engagement ring or wedding ring. 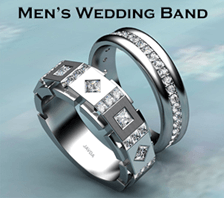 You may know the Flush setting from men's jewelry you've seen. 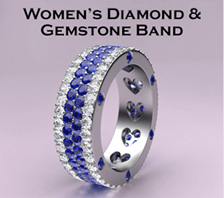 A setting technique in which the gemstone is embedded within the band and the metal from the band is used to secure the gemstone, leaving only the top of the gem visible. 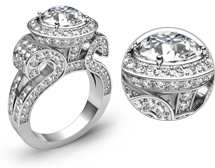 When diamonds or gemstones are set close together in a group, the result is known as a cluster setting. 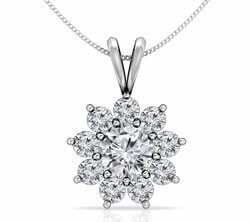 Sometimes the stones can be arranged in the form of a stylized flower, or just in an abstract arrangement. 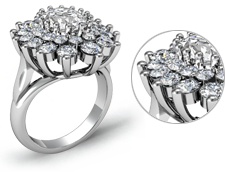 Cluster rings are usually multi-level, with considerable height above the hand. 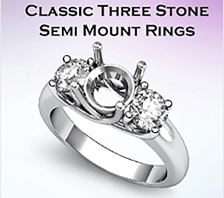 The arrangement of the stones can be open and airy looking, or they may be more tightly arranged.